Bad boy good looks. Slash cut pipes. Engine cases in black for real attitude. Black cast wheels with machined detail. The Speedmaster. Air-cooled 865cc parallel-twin, 270 degree crank engine. Unique 'hot rod' style. The very essence of low-slung, old-school cruiser re-invented for the demands of today's rider. New for 2011, short guards, big wheels and a totally new feel. Ready to roll if you’re ready to rock. Stripped down. Mean. Moody. The Speedmaster is a tough looking, no-nonsense sports cruiser that’s dripping with attitude. With blacked out engine cases, slash cut pipes and cast black wheels with polished rims, the Speedmaster embraces the attitude of the hotted up motorcycles of the 60s. Powered by a 270º crankshaft version of Triumph’s renowned 865cc air-cooled parallel twin, the Speedmaster has the power to match its tough look. The new-for-2011 Triumph Speedmaster features a host of updates to deliver an improved riding experience and an even more aggressive appearance. The stripped down sports cruiser now features a new 19in cast aluminium front wheel with single disc brake and skinny tyre for the classic chopped hot rod look and a whole host of other updates to give the Speedmaster more attitude and improved accessibility. 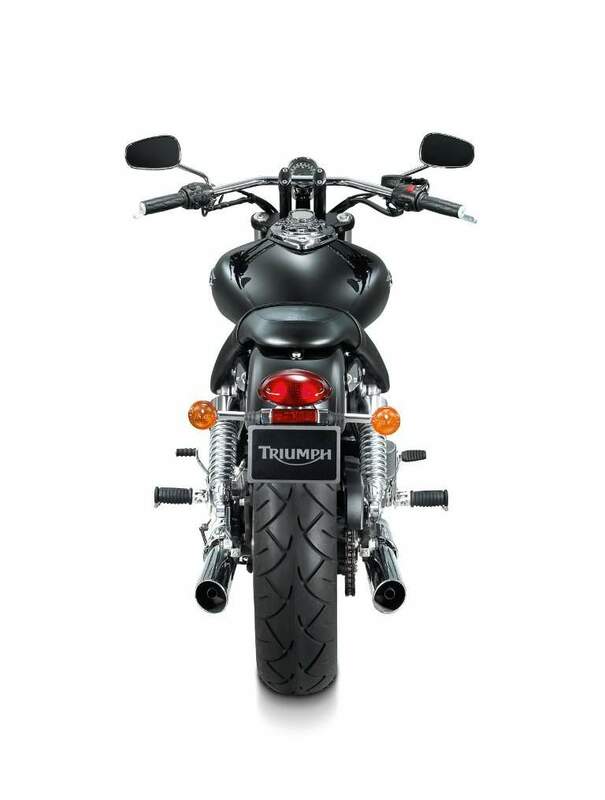 At the heart of the Speedmaster is Triumph's revered 865cc parallel twin engine, a classic configuration favoured by custom builders around the world. With its 270-degree firing order and twin slash cut pipes, the fuel-injected unit delivers a peppy 61PS and 72Nm of torque with a satisfying growl befitting the sporting looks. Ergonomics have been improved for the 2011 model year, with a low 690 mm seat height married to new and wider handlebars that deliver a new riding position that feels substantially different to the previous model and which will appeal to a wide variety of riders. 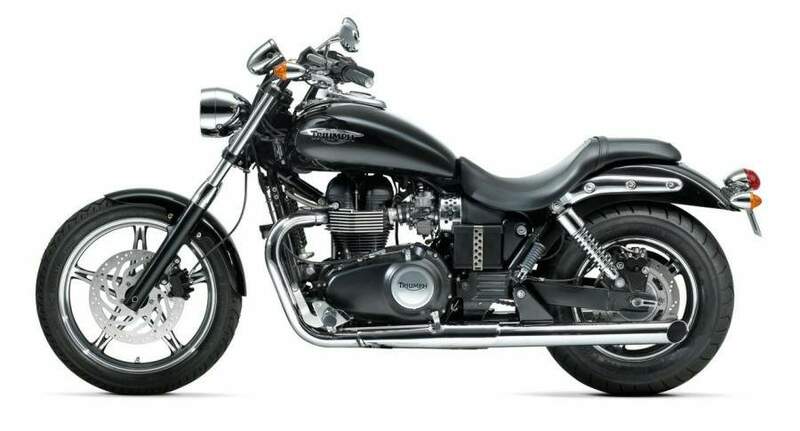 To complete the back to basics street rod look, the 2011 Speedmaster sports blacked out engine cases, a carefully crafted teardrop tank, minimalist mudguards, a 15in cast rear wheel with high profile tyre and a new front headlight design. Two colour options are available for the 2011 Triumph Speedmaster: classic metallic Phantom Black and Cranberry Red, a new colour which is debuting on the Speedmaster. 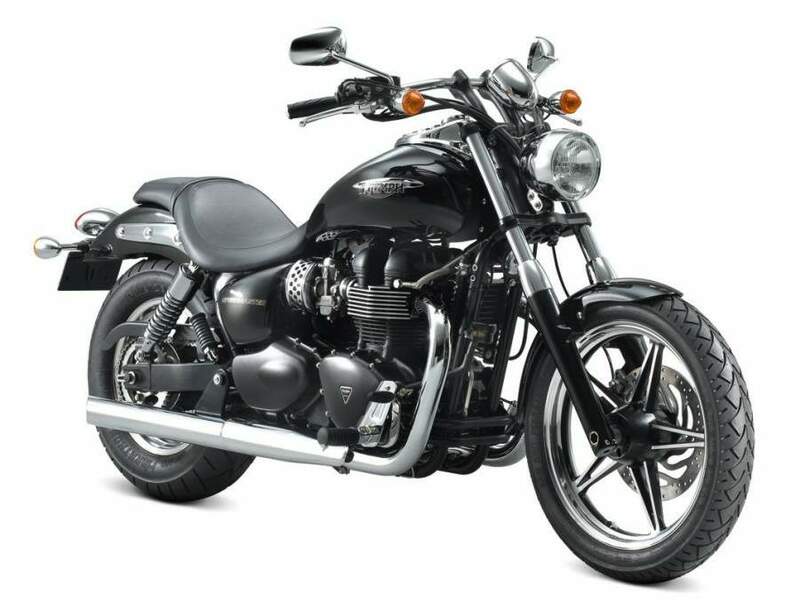 A full range of genuine Triumph accessories are available to accompany the Speedmaster, including a range of saddlebags, screens and alternative seats to meet the preferences of the individual rider. 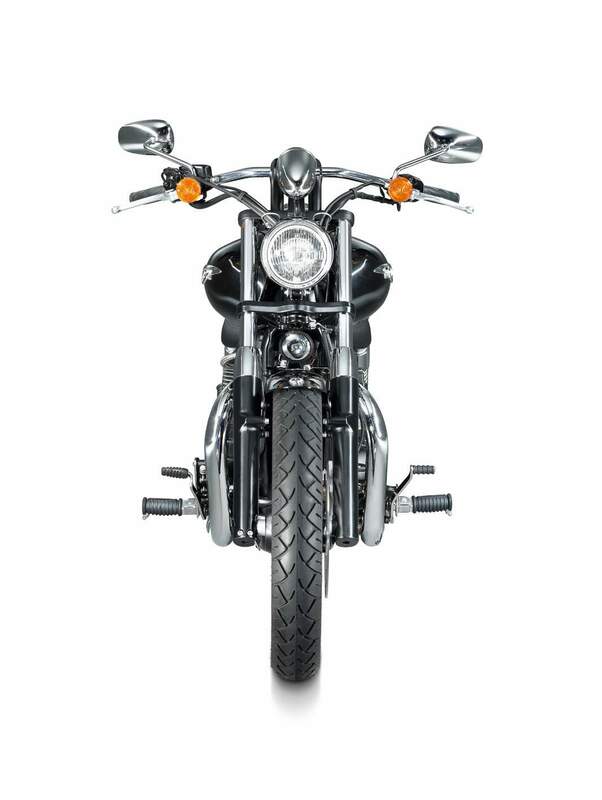 The Speedmaster has gained a host of updates for 2011 to give a new look and feel to this stripped out street rod. At its heart, the Speedmaster features Triumph’s distinctive parallel-twin powerplant, a unique proposition in a sea of V-Twins. With a 690mm seat height, the Speedmaster is accessible to even more riders than before, while wider, higher and more pulled back handlebars suit perfectly the bike’s style and give a totally different riding experience to its predecessor. Air-cooled, DOHC, parallel-twin, 270-degree firing interval 865cc Triumph engine delivers 61PS (60bhp) and peak torque 72Nm at 3300rpm. Loads of character. Low and lean. Confidence inspiring for new riders, with more than enough character to satisfied experienced cruisers. Stripped down street rod oozes character and evokes memories of specials from yesteryear with the carefully crafted teardrop tank, minimalist mudguards, 19” front wheel and a new and smaller front headlight.